But dear readers, while it is fresh in my mind I want to tell you about a restaurant we visited in Seattle just last Friday night called Place Pigalle. 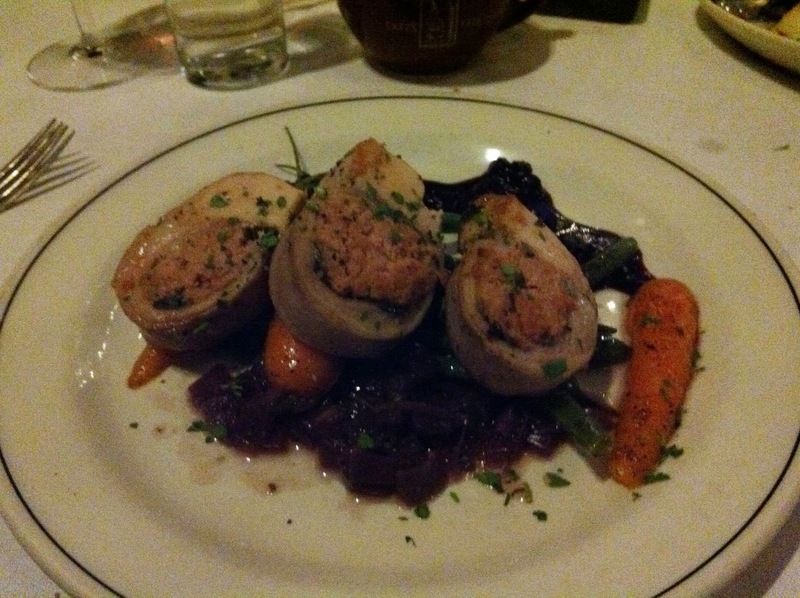 My meal at Place Pigalle was THE most romantic dinner I have ever had (so far, that is)! 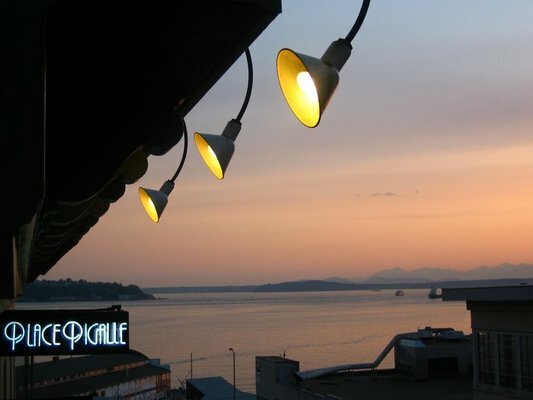 Place Pigalleis located through a little corridor behind Seattle’s Pike Place Market Fish Throwers and overlooks Seattle’s Puget Sound.Place Pigalle began as a watering hole called the Lotus Inn. The Lotus Inn used to be a hub at which sailors could imbibe before meeting up with a lady friend at the bordello upstairs. A woman by the name of Nellie Curtis ran the bordello (which she masked as a hotel). Then eventually the owners of the hotel, Rosuke and T.K. Kodama, were sent to an internment camp in 1942, and Curtis purchased the hotel lease. She ran her business for years, evading crackdowns and even an earthquake in 1949. Sometime in the 50’s, The Lotus (equipped with a sawdust floor and an alleged blind accordion player) became Place Pigalle. The name comes from the red-light district in Paris. Patrons of Place Pigalle used to toss beer and wine bottles out the west windows and watch them sail 50 feet down to the sidewalk and ravine. By the 60’s the biker crowd that frequented the tavern called it “Pig Alley”, and it became a popular venue for bikers and commoners. In the 70’s, Place Pigalle became a mecca of sorts for artists, merchant marines, hippies and world travelers. Visitors were attracted by the view and the jukebox, which played everything from Edith Piaf to Jimi Hendrix. 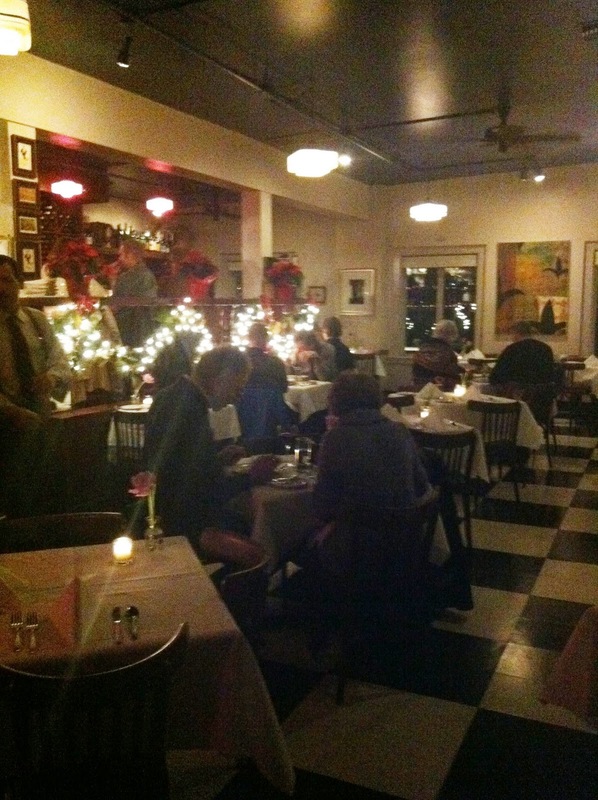 In 1982, Place Pigalle was remodeled when Bill Frank (the bartender) took ownership. He made major improvements to the menu and even the equipment in the kitchen (by tearing out the Sears electric range). It was shortly after that, the restaurant began to attract a more serious following by distinctive diners. 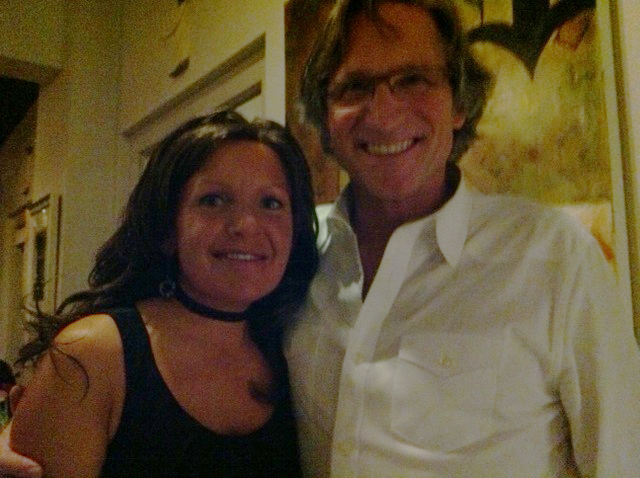 Seth and Lluvia Walker now own Place Pigalle and keep a strong commitment to the restaurant’s tradition and history. Below is a peek inside the dining room, which is on the smaller side, but looks spacious thanks to lots of windows and an enormous mirror on one side of the room. 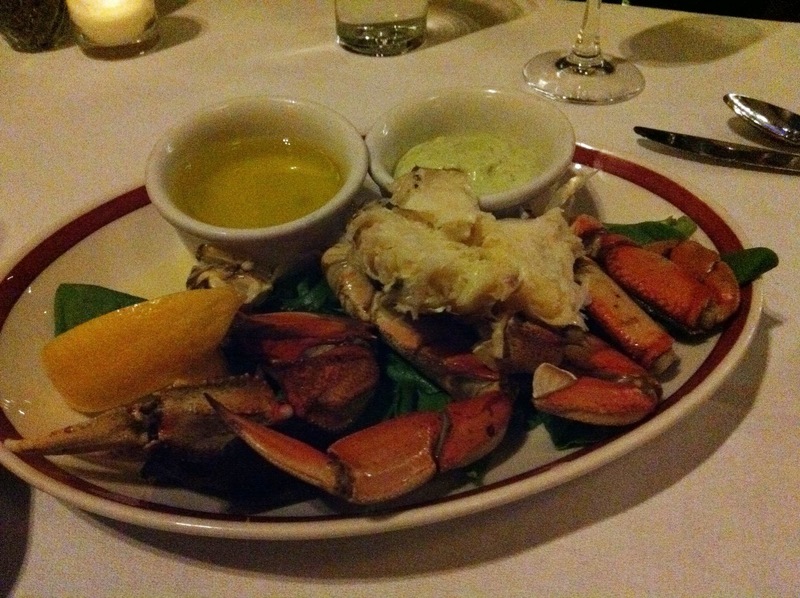 We started with a 1/2 Dungeness Crab for our appetizer. The crab is served with with tarragon aioli, drawn butter, and lemon. To pair with the crab, we ordered a few glasses of sparking wine, and our server suggested a 2008 Prosecco, Bortolomiol, Brut, Filanda Rosé Valdobbiadene, made from 100% Pinot Noir. 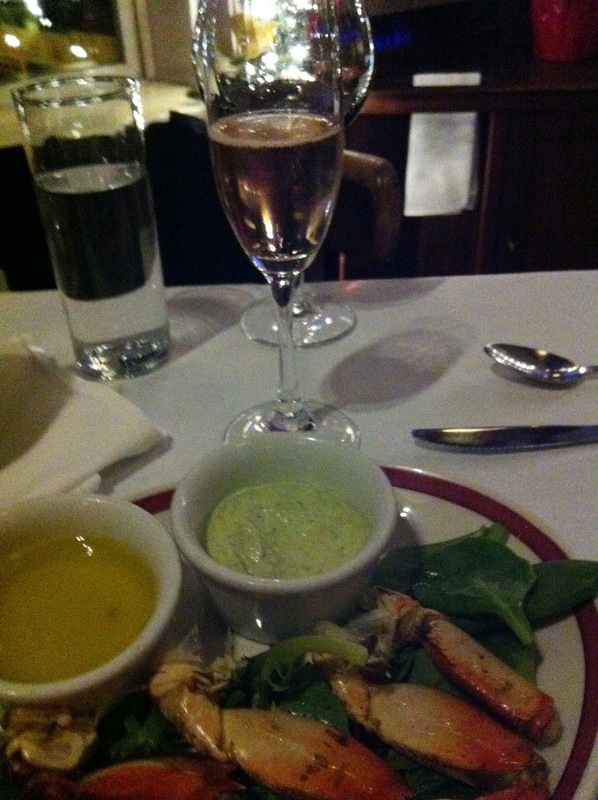 I am pretty sure I could have ordered another crab and a bottle of the prosecco for my meal, but I was too excited to order other dishes once I saw the full menu (which I would describe as French-inspired). 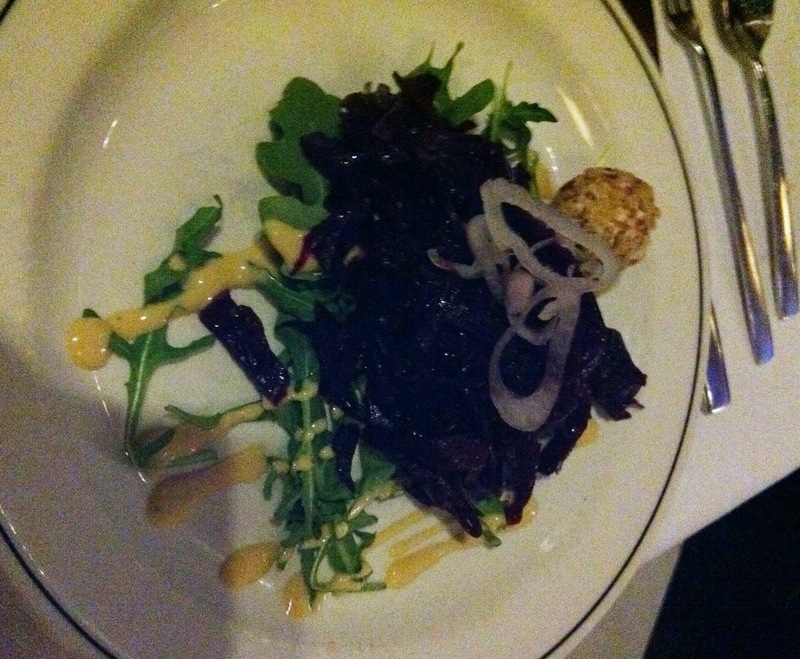 I was quite pleased with my Mixed Greens Salad. 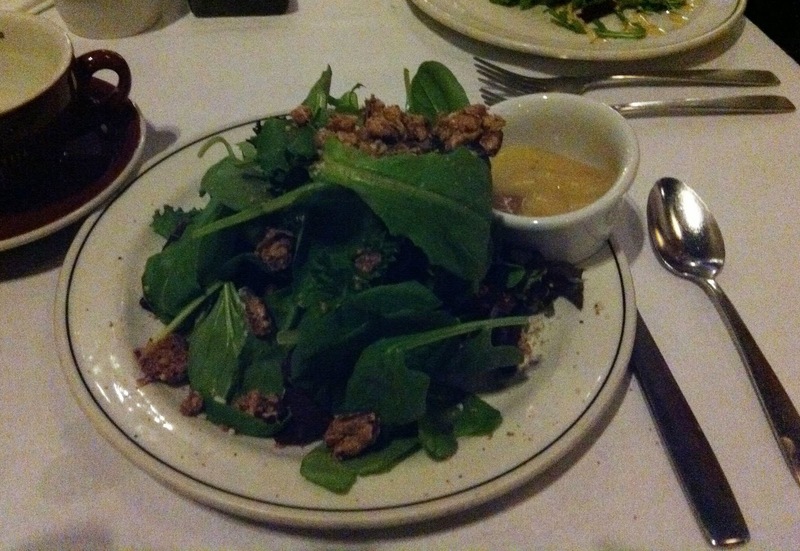 It was made with Gorgonzola, Spiced Pecans, Roasted Garlic, and served with Wildflower Honey Vinaigrette. 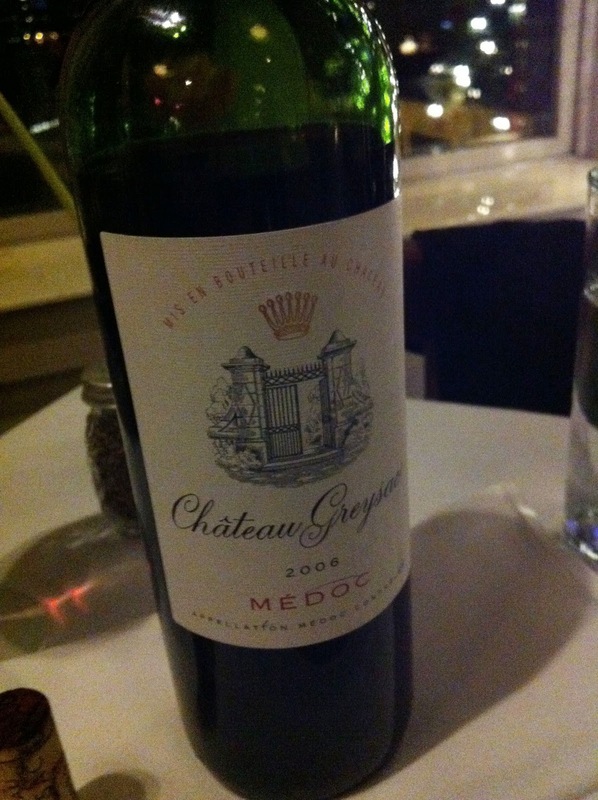 To accompany dinner, we ordered a bottle of a Bordeaux blend, the 2004 Château Greysac, Cru Bourgeois, Médoc. The Médoc part of the name refers to the region (and Médoc is the largest wine making region of Bordeaux, France). A perfect little French wine to go with what was to come next! 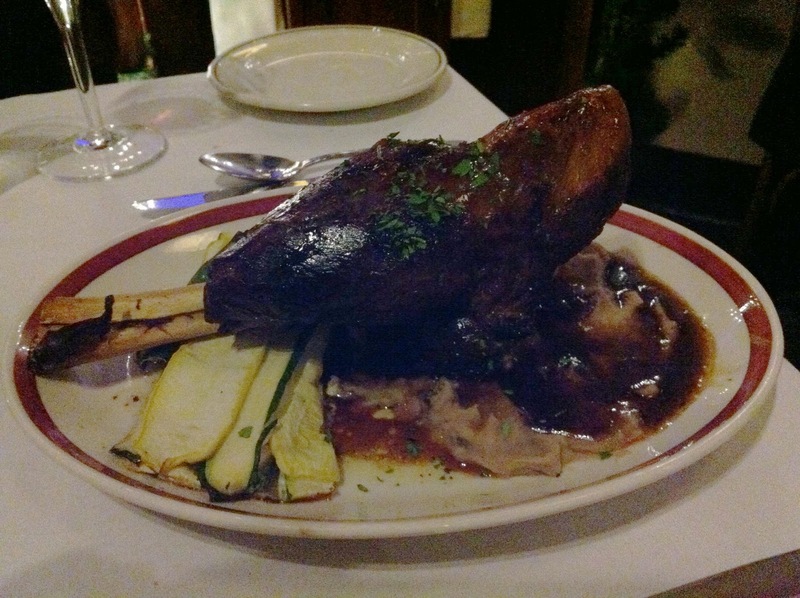 My BF’s Cattail Farms Lamb Foreshank with a chestnut purée, squash Napolean, and swimming in a little moat of jus. And I think I actually liked the lamb just a tiny bit better than my dinner! As flavorful as the rabbit was, the lamb was on the very next level. 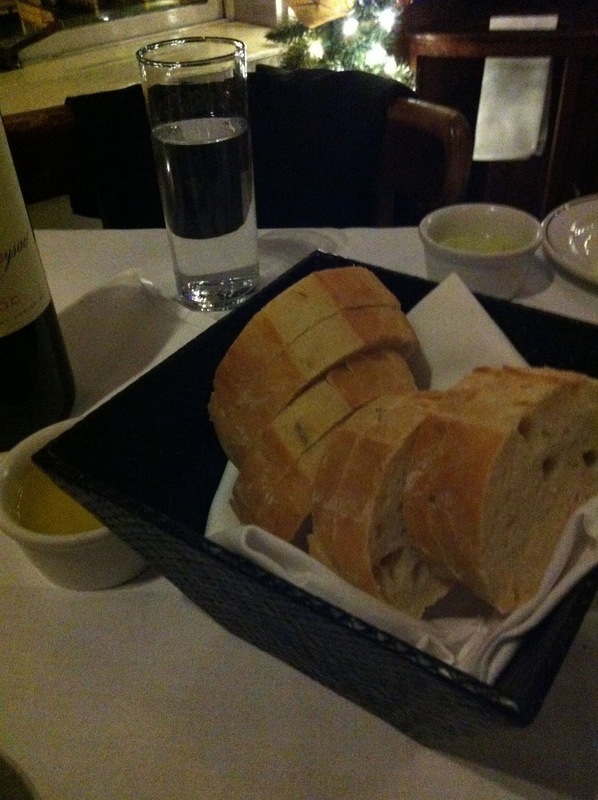 With the food and the wine and the company being so perfect, I could not have asked for more. I only wish I could have taken photos of the view from our table, but they just don’t do it justice. As I write this I find myself craving the food we had, and dreaming of the components in the dishes… Like, I have an acorn squash in the fridge and I am thinking about how good the duck sausage (that was in the rabbit roulade) would be baked inside an acorn squash!! Thanks to Seth, the chef, the sommelier, and the waitstaff for making everything perfect and a night I will remember forever! Place Pigalle is open for lunch 11:30-3:00 everyday and for dinner 5:30-9:30 Monday-Thursday and 5:30-10:00 Friday-Saturday. They close at 3:00 on Sunday. You can follow Place Pigalle on twitter here and you can find them on Facebook here. 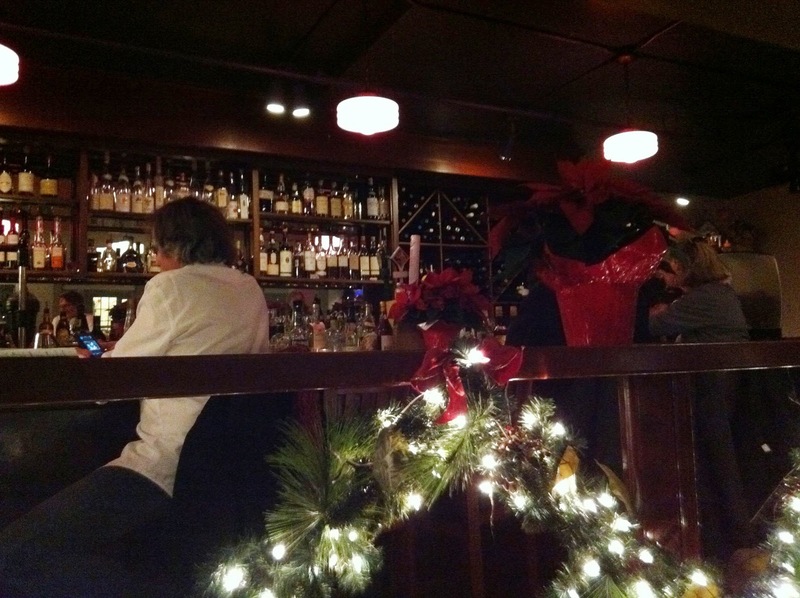 To make a reservation, you can go here or you can call the restaurant at 206.624.1756. Tell them you NEED table four! PS: (Extra tip) There is free parking available After 5pm in the Public Market Parking Garage. The Public Market Parking garage offers covered parking and is connected to the Market’s Main Arcade by an elevator and sky bridge. This entry was posted on December 12, 2011 by cavegrrl. 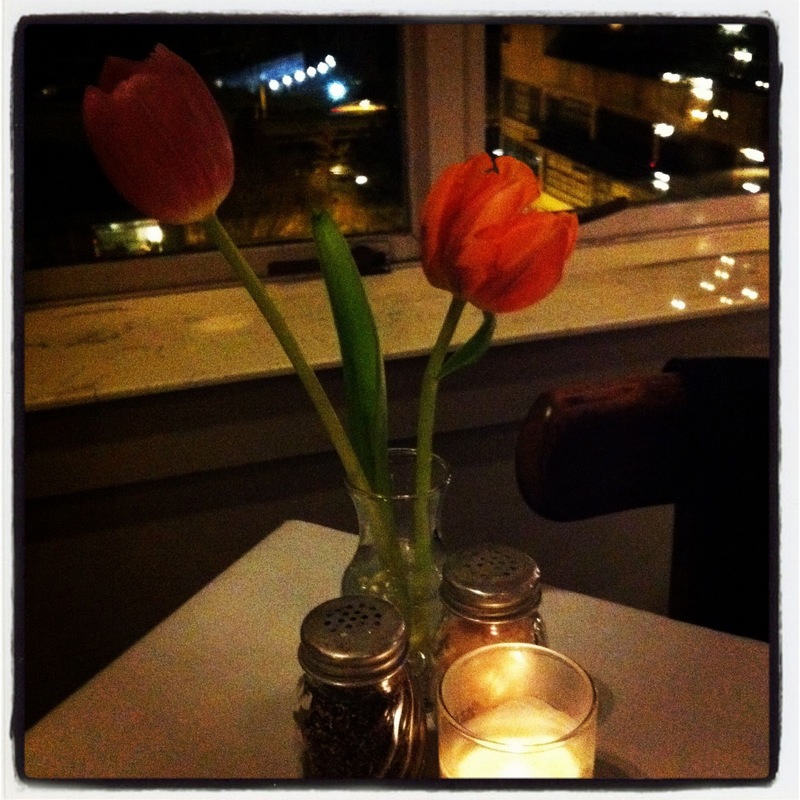 It was filed under food, French, love, restaurant, romance, Seattle, travel, wine .